This client was recommended by Pure Maintenance, an excellent company that we have worked with many times. Their clients are always extremely nice and gracious and this one was no exception. 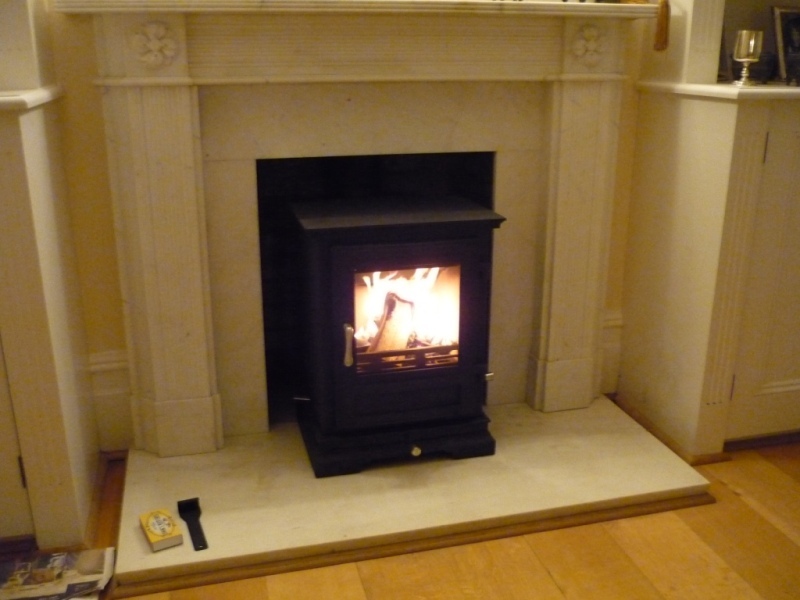 The clients chose a lovely black Petworth stove from Chesney’s. To install the Petworth stove we had to first organise for some scaffolding to be erected so that we could access the back chimney stack. The installation went well. We had to shift a slight blockage in the chimney using rods placed down from the top. Unfortunately, the lintel at the bottom was extremely deep. Therefore we had to use a 90′ flue pipe which meant the stove sits out a little from the opening, otherwise the stove would have been right up against the back wall. Nevertheless the end result was a success. 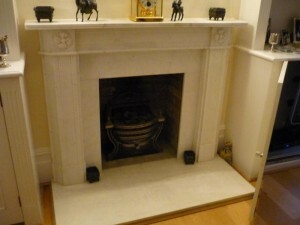 Take a look at another Petworth Stove from Chesney’s that The Billington Partnership installed.